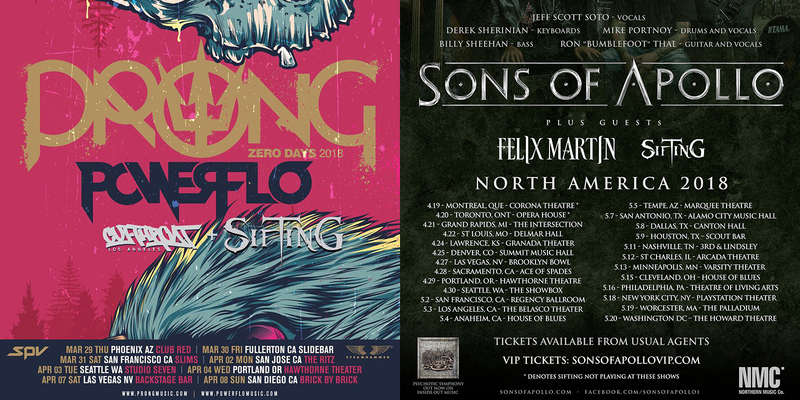 Los Angeles, CA’s modern prog rock/metal outfit Sifting have just been confirmed as support for two different upcoming U.S. tours. 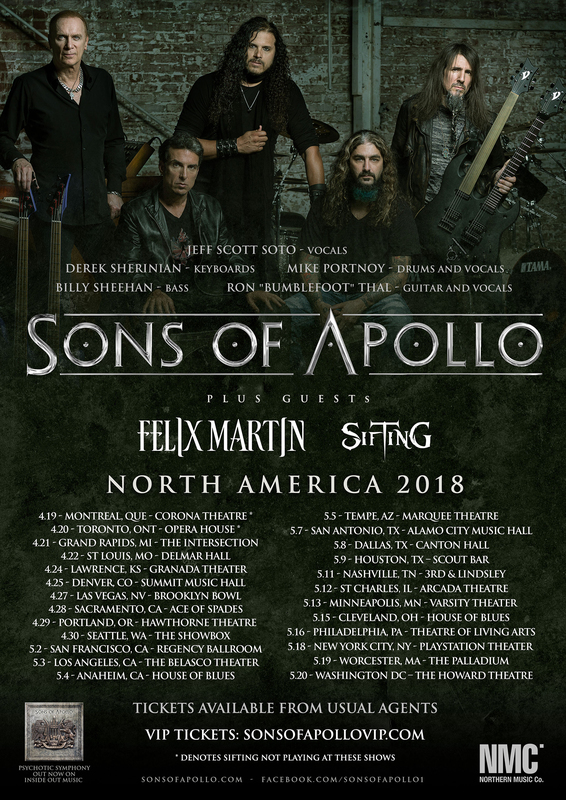 The band will be supporting Prong (March 29 – April 8) on the West Coast, and once again supporting Sons of Apollo (April 21 – May 20) nationwide. 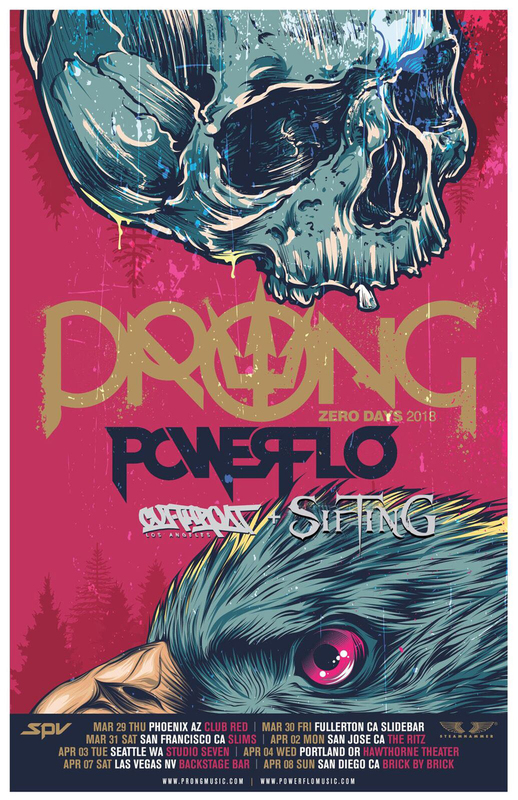 See all Sifting tour dates below. Sifting’s latest full-length album Not from Here, was released in 2017 via Eclipse Records. The album was produced by Ryan Williams (Velvet Revolver, Rage Against the Machine) and Steve Evetts (Sense’s Fail, The Dillinger Escape Plan, Suicide Silence). So far, the band has released four music videos promoting the album for the songs ‘Epsilon’, ‘Blowing Fire’, ‘Nothing but Us’, and ‘Not from Here’; with a fifth currently in production for the song ‘Gloom’. 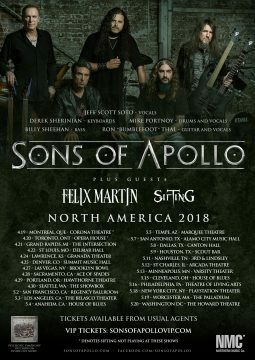 Fans may also watch a studio play-through video for the song ‘Epsilon’ at this location. Buy the full album on CD, iTunes, Amazon, or Google Play, and stream the full album via Spotify, Apple Music, Pandora, iHeartRadio, Deezer, and watch their video for the song ‘Epsilon’ below! For more information about SIFTING tour dates, please visit them on Facebook, Eclipse Records, or Twitter, and follow them on Spotify.